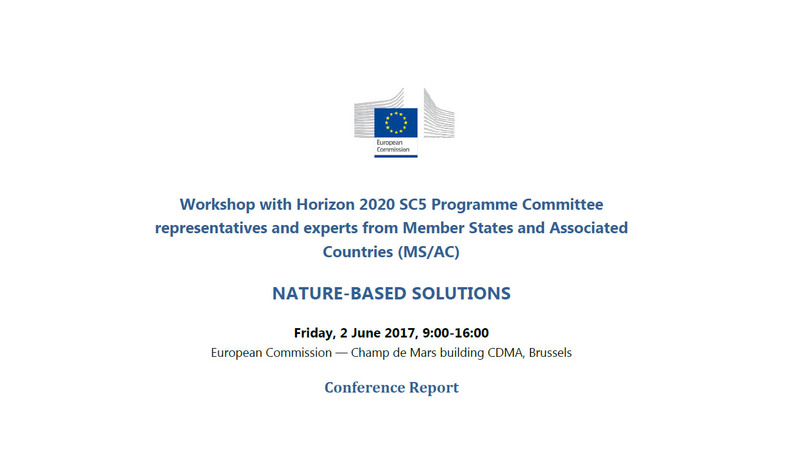 This report is a summary of the workshop held Friday, 2 June 2017, 9:00-16:00 European Commission — Champ de Mars building CDMA, Brussels. The workshop was attended by the Horizon 2020 SC5 Programme Committee representatives and experts from Member States and Associated Countries (MS/AC). The workshop was an opportunity to promote networking and cooperation among MS/AC and between MS/AC and the Commission, inter alia on the basis of existing NBS projects and platforms.